This box here is the Poreless & Perfect box. It's been sold out for a while now, however, I really wanted to share the box contents with you all because there are some amazing goodies in here. Hopefully, Memebox will stock some of these items on the site in the future. Product Description: A superb cleaning tool with soft and fine furs, densely packed on the brush to provide the deepest cleanse. The brush enhances the cleansing experience and helps to remove impurities, dead skin cells, and sebum. The bristles are anti bacterial so there's no worries about bacteria build-up on the brush. To use, lather facial cleanser on the the face. 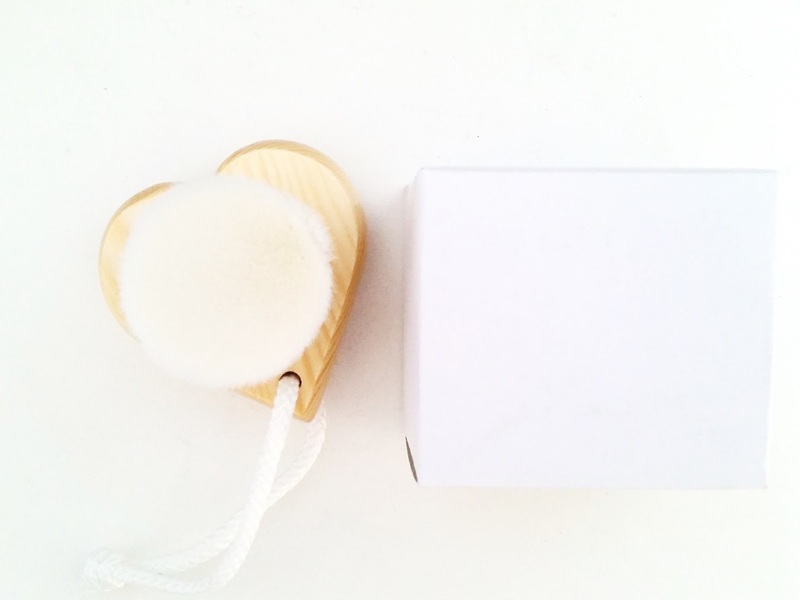 Take the brush and cleanse your face in a circular motion. Wash after each use. My Thoughts: Let's start by saying just how cute this brush is. It comes in a heart shape and that actually makes it easier to hold and use too. When I first got the box, I didn't know if I'd like or use this brush or not. However, since I haven't bought a new brush head for my Clarisonic, I thought I'd give this a whirl. Man, was I glad I did. The brush is super soft and cleanses my skin without it feeling abrasive. It does a decent job but the downside is that after a couple of uses, the bristles start to fall off. It's few, maybe less than a half dozen bristles in the past 2 months that I've used this brush. Still for a $15 brush, I expected better. Product Description: A mask specially formulated with a blend of niacinamide, adenosine, and charcoal powder. It works as an intensive skin care product that whitens, hydrates, nourishes, and control excess sebum at the same time. The mask is free of parabens, mineral oils, and synthetic coloring. My Thoughts: As a mask lover, I am really excited to try this mask. I have put off on trying it for now because I have a long list of masks I want to try and this will have to wait in line. 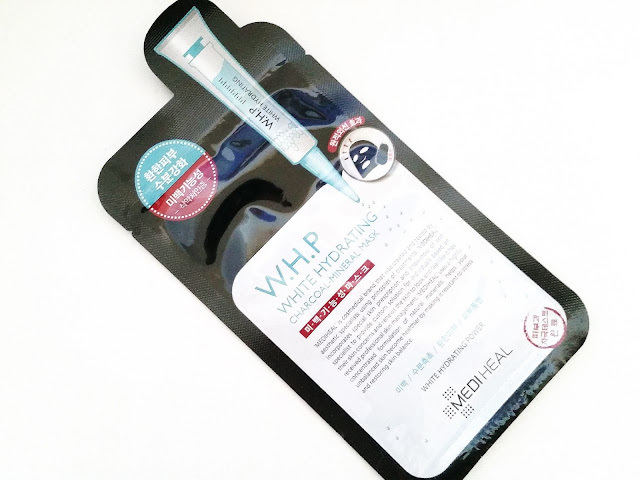 However, I've generally had positive results with Mediheal masks and Mediheal products. So, I have a feeling I might like this too. 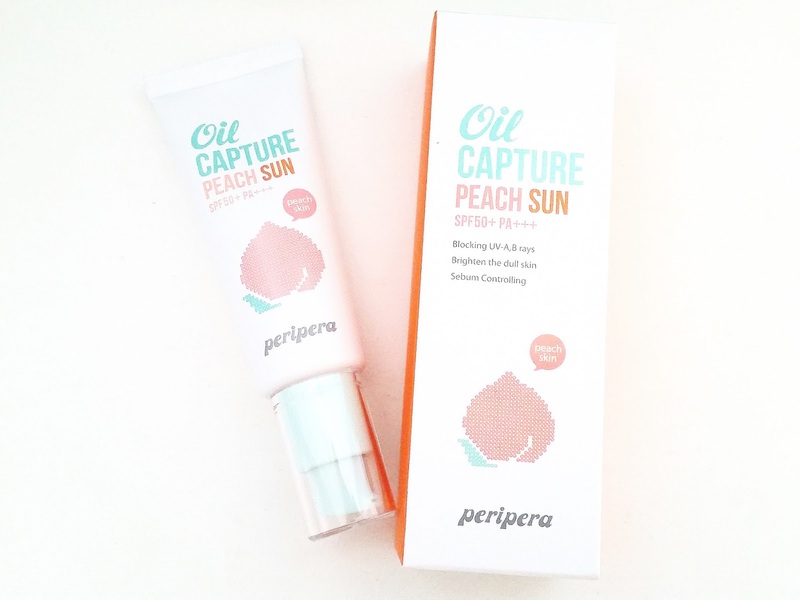 Product Description: A brightening sun cream that can help to control excess sebum. It has sun protection of SPF50+ PA+++. To use, apply it to the skin as the last step of the daytime skincare routine. My Thoughts: I have been super diligent in using sunscreens lately. So, I am always up to try new sunscreens. I have yet to find the 1, so I'm hoping I'll like this one. I am a one sunscreen at a time gal, so this one will have to wait in line. Product Description: A serum rich in pore care ingredients such as calamin, EGF, witch hazel and more. These ingredients help to control excess sebum and provide the skin with a silky texture. The pore serum also helps to eliminate impurities, dead skin cells, and helps to reduce the appearance of clogged pores. My Thoughts: Ooo, I wonder how this will compare to my favorite serum that also helps to control excess sebum and reduce the appearances of pores. I haven't tried it yet and I think I will hold off on it until I finish my current serum. It sounds promising, but many products sound promising and ends up not working. So, I won't know until I try it. Will report back! Product Description: A unique mist that uses naturally extracted distilled oil through the steam method. It's super light and the particles are super small, so it can be absorb into the skin easily. This mist can help to control excess sebum while keeping the skin soft and hydrated. 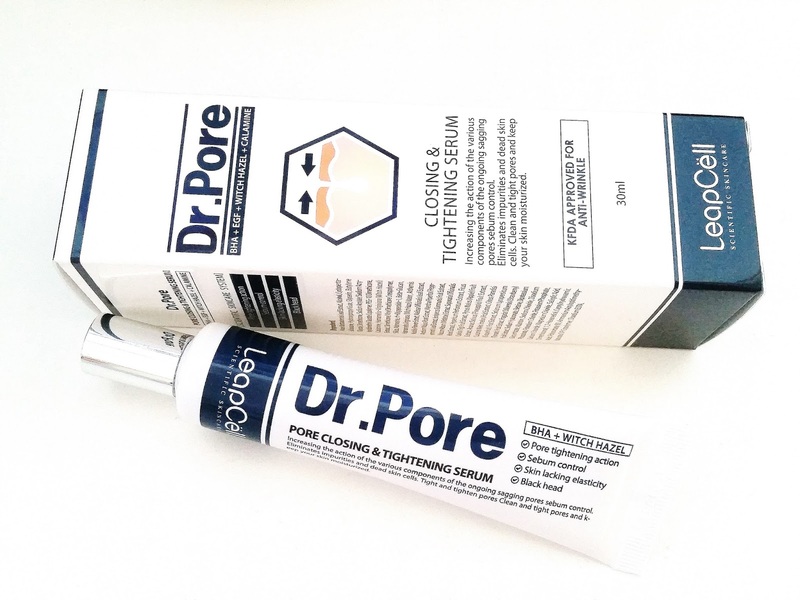 The Pore Tightening & Moisture Fixer can be used before and after makeup. My Thoughts: This. Was the spoiler for the box that convinced me to purchase this box. I have been wanting to purchase this fixer to try for a long, long time. So, when I saw it as the spoiler for the box, I was like heck yes. I've seen this fixer being mentioned on many Korean beauty shows and everywhere it was shown, it was showered with praise. So, naturally I wanted to try it. On its own, this mist is expensive and rather hard to find. So I thought this Memebox might be my best chance in trying this mist. I will do a full review on this, so look out for that! Final Thoughts: The box originally cost $35 and with tax, a little over $37. However, I used a discount code and got the box for just a little over $30. A very decent price for a box full of amazing goodies. It has been a while since I felt a mystery box is truly worth it's price. However, this one met that expectation. I am happy with every single product in the box. I will do reviews for some of them, so look out for that! 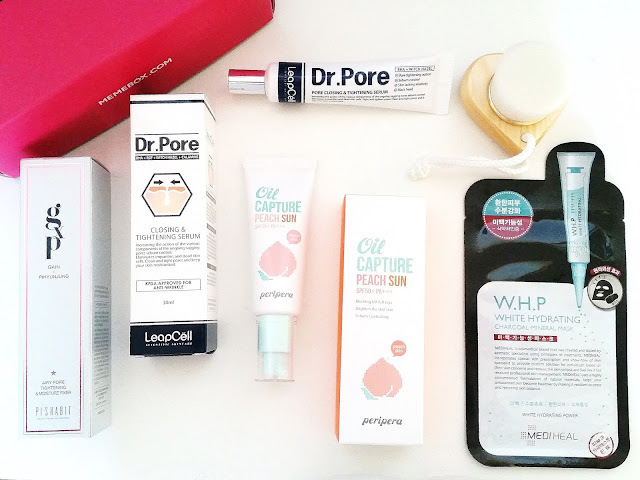 I hope Memebox will curate more amazing skincare boxes like this one. 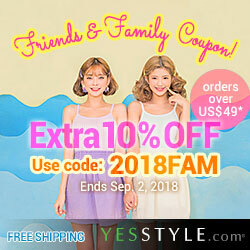 Visit my Deals Page for coupon codes and deals! Disclosure: The products were purchased by me and all the opinions are honest and my own. This post may contain affiliate links, which means I will earn a small commission if you make a purchase after clicking it. Read my full disclosure statement here.